How to create a video-streaming app like Periscope? Home / Blog / How to Develop a Periscope-Like Mobile Video Streaming App? Today, digital technologies give us full freedom of choice. We are able to choose the way of communication with each other, we have the Internet and social networks, we can freeze particular moments with the help of instant photos, and make chronicles with the help of video. So, as well as social networks allow sharing the information by means of text posts, mobile video streaming sites and apps like Periscope give us the opportunity to see the world from the point of view of another person. 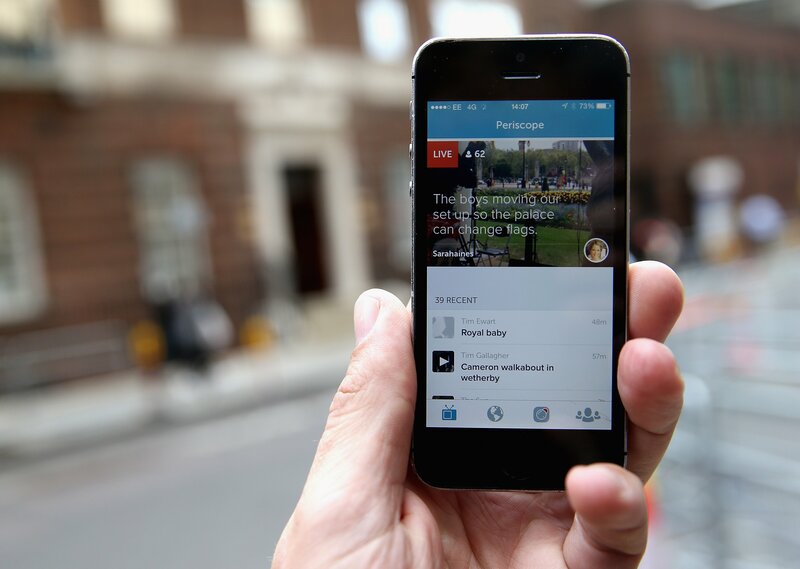 Periscope is a special mobile app for online video streaming. It was created by two programmers - Kayvon Beykpour and Joe Bernstein – who planned to launch this app for the Android operating system as independent developers. However, the potential value of this app was so big that it was overbought by Twitter before its official launch in 2015. The first version of Periscope was available for Android only, although the version for iOS was developed very quickly afterwards. Live streaming. This is the basic Periscope’s feature that makes this app so popular all over the world. It is possible to have live broadcasting of different videos via the Internet with the help of your smartphone, a tablet, or a webcam. Simultaneous interaction with other streamers. Periscope users can not only broadcast their videos directly but also watch online videos of other users at the same time, and interact with them in the real-time mode with the help of a chat function. Choosing video stream by its location. Periscope is also equipped with the function of geo-location. So, you can try to find periscope video streaming from a particular place in the world. Time limits. As well as other popular multimedia apps, for example, Snapchat, Periscope stores all broadcasted videos for 24 hours. Further on, all broadcasted videos are removed, and if a particular user doesn’t download them to his/her computer, they are irreversibly lost. The opportunity of replays. It is also possible to replay one and the same broadcasts for 24 hours until they are removed from the app. Download option for videos from different streams. If one wants to get the videos, he/she has an opportunity to download interesting videos from different broadcasts to his/her computer within 24 hours while they are available. In this case, one will have constant access to these videos. Integration with Twitter. As it was said before, the project was overbought by Twitter before its official launch, so it is quite clear that Periscope is well integrated with Twitter, and all your followers there will see notifications about future broadcasts. Certainly, such a great list of Periscope plus features is worth being proud of. Thus, it is not unusual that Periscope won great popularity all over the world. This app is able to make an ordinary person’s life more interesting and comfortable and helps to expand one’s perspectives. How to Develop a Video Streaming App Like Periscope? Periscope’s great popularity can be a good reason for bloggers and businessmen of all kinds to launch their own apps like Periscope plus. This desire is quite clear because online broadcasting can be the shortest way to become famous among many people, to attract new customers, and to advertise a new product or service. In this case, it is extremely important to learn how video streaming mobile apps are created. In general, the process of app development can be divided into three big stages: creation of the MVP version, improvement to the basic version, and taking the root. Let us see what things are necessary for each of them. All experienced programmers and web-developers know that it is almost impossible to make an ideal app without any bugs from the very first effort. Software code for the app cannot be perfect in its first edition. Therefore, to test the so-called draft app, it is necessary to launch the MVP version first. Moreover, the MVP version development is much cheaper than the app’s full version. In general, the MVP version can be described as a pilot one because it should include a minimal range of possible functions and a very simple design. The MVP version is also useful from the point of view of economics. If you offer a relatively new product or service, you should conduct market research first. Certainly, this step should be done before launching the app itself, but the pilot version of the app will show you in practice whether your product/service is demanded among customers or not. Reliable servers to provide flawless operation of your app. In the next version, you will improve all these points and add more functions. Further on, if a new app becomes popular, you may move to the next stage. The main task for you to do at this point is to improve the MVP version up to the basic one by fixing all bugs. To do it, try to look into bug reports from the users of the MVP version. In this case, you will know what weak places of a particular app need special polishing. This stage will show you what else is necessary for the users of your video streaming app to get the most comfortable environment they want. Now if your periscope plus-like mobile app has many users, it is possible to move to a new level and make this app a little bit better. You may continue your work on design, but don’t forget about regular updates and modifications of the interface. In general, it can be said that polishing of the app is an endless work to do, but who will care about your users if not you? From this very point of view, treat your app like your child and always try to find ideas and opportunities for its improvement.